The U90 Stage I Set is expandable later to 90 lbs per hand with the U-90 Stage II Kit, and again to 125 lbs per hand with the U-90 Stage III Kit. 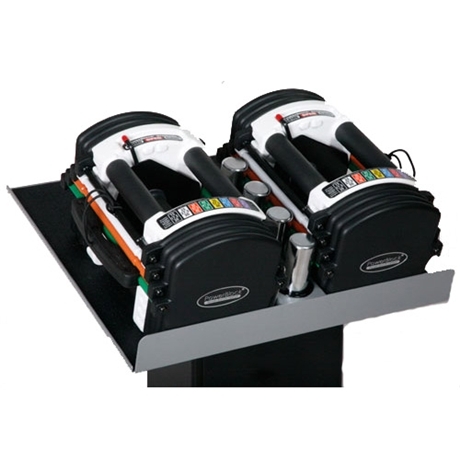 The U-90 Stage I Set has a weight range of 5-50 lbs per hand and will replace 16 pairs of dumbbells or 825 lbs of free weights. Increments achieved with the U-50 Set are; 2.5, 5, 7.5, 10,15, 17.5, 20 25, 27.5, 30, 35, 37.5, 40, 45, 47.5 and 50 lbs per hand. Check out our other Power Block Models here.